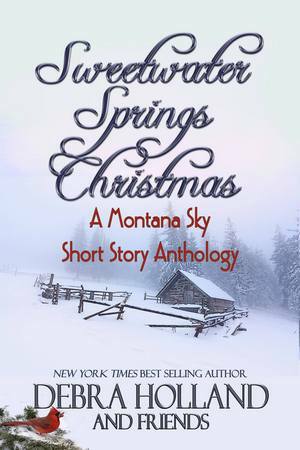 I was very pleased to be included in Debra Holland’s Sweetwater Springs Christmas, a holiday anthology set in her Montana Sky World. If you like sweet Western romance, you will enjoy this collection of short stories. Sweetwater Springs Christmas: A Montana Sky Short Story Anthology is available from Amazon in print or e-book for purchase or read free on Kindle Unlimited. Also available in audio! Check it out at Audible.com. My story in the anthology is “The Best Present”. For this story, I shed my romance persona and wrote about a ten-year-old girl having the worst Christmas of her young life. I drew on some personal experiences, including my memories of my tenth Christmas, which took place two weeks after the death of my grandmother. Allison’s story has a different ending than mine did, but it’s the most personal work I’ve ever written, and writing it was an emotional experience for me. Allison Harcourt stared at the opening lines of her favorite book, “Little Women”, until the words blurred. Unable to read, she closed the volume. Christmas won’t be Christmas without Grandma. Sudden tears filled her eyes, and she turned her head to stare out the train window, blinking furiously to make the moisture go away. Don’t cry, don’t cry, don’t cry. The words pounded rhythmically in her head to the clack of the train over the tracks. Mama and Papa hated seeing her cry, but it was hard to hide the tears with Mama sitting across from her. If only her seat faced front. Then Mama wouldn’t be able to see her. She slipped the book into her carpetbag and turned back to the window so Mama couldn’t see her face. The scenery outside sped by as the train clattered along the track, clouds of black smoke billowing back from the locomotive. Allison could barely see through her tears, but it didn’t matter. She was tired of looking at the prairie, so flat and boring, especially today with the sky a pale gray. There were supposed to be mountains ahead, but her seat faced the rear of the train. All she could see was what was behind her–not just miles of prairie, but her friends, her school, and her home back in Pittsburgh–before Grandma died and Papa said they were moving. In September of this year, I had the chance to take a tour of Montana and we traveled part of the route Alison and her parents would have taken on the railroad to Sweetwater Springs. I’ve started a new book set in this world, which I hope to have finished next year. This entry was posted in holiday and tagged #holidayromance, A Montana Sky Short Story Anthology, anthology, Debra Holland, excerpt, Montana Sky, Sweetwater Springs Christmas, western romance by Linda / Lyndi. Bookmark the permalink.